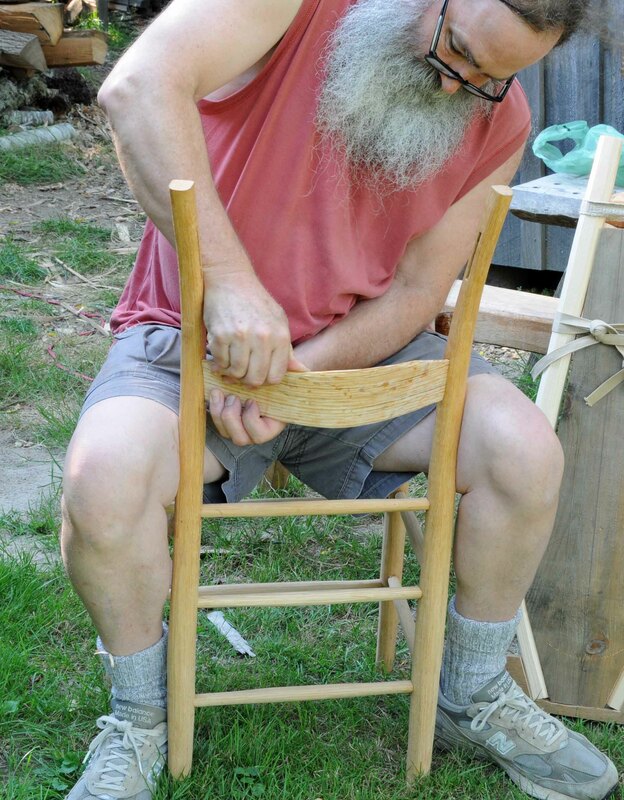 These are shaved ladderback chairs, based on the project in Jennie Alexander’s book (and video) called Make a Chair from a Tree: An Introduction to Working Green Wood. 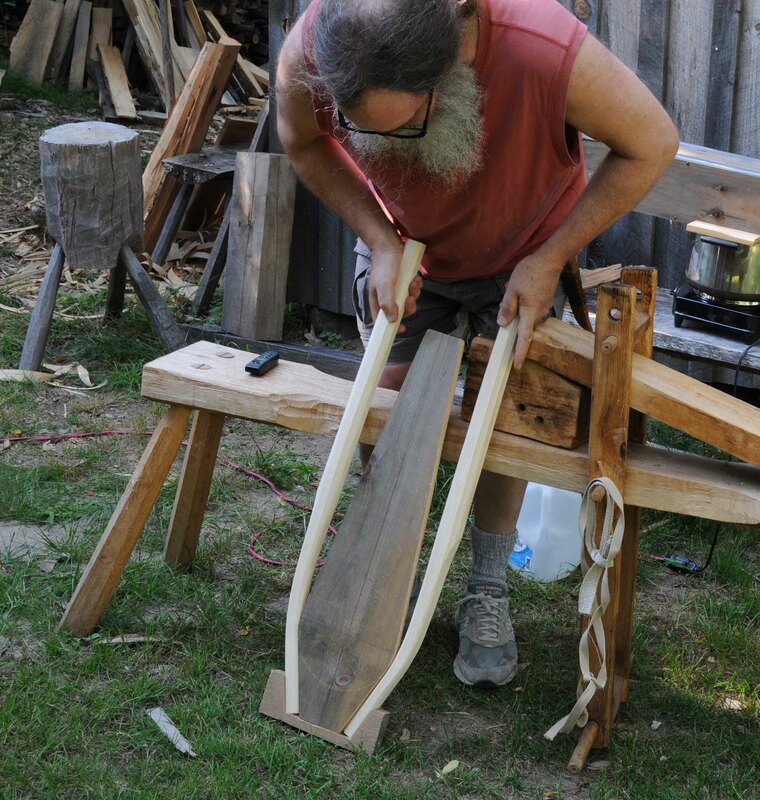 This past weekend I was one of the demonstrators at Lie-Nielsen’s Open House in Warren, Maine. This event is a yearly thing and quite popular, for good reason. 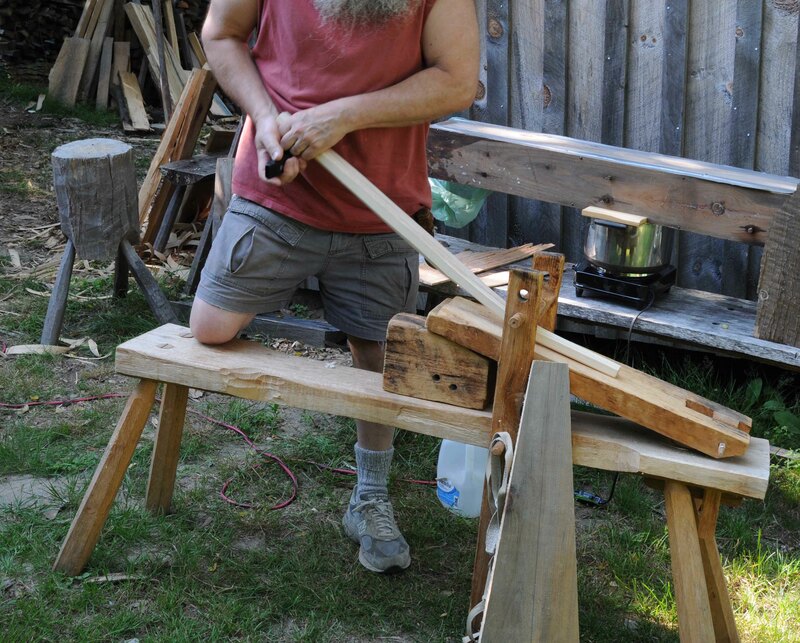 There, I planned on giving a short talk for a small audience on my 40 years’ worth of green woodworking. Then Jennie Alexander died the night before I left for Maine. And my small audience turned into the entire crowd, a couple hundred people maybe. I intended to carve a spoon while I told stories of my introduction to this niche field. What I found out is that many people can’t see the details of me carving a spoon. So I sorta swung a hatchet around some while jabbering away. But I did bring a ladderback chair with me, sans seat, for show & tell. And my talk’s recurring theme was Jennie Alexander and her impact on my life. In our heyday, JA & I used to spend a minimum of 2 hours on the phone every Sunday morning – books, photos, notes – all spread out on the tables in Hingham Massachusetts and Baltimore Maryland as we pored over our resources, then after we hung up, off to the shops we’d go – to test our theories. This went on for about 3 or 4 years – with short breaks here & there. Then I got a job and things changed some. Recently the Winterthur Museum Library/Archives went to Baltimore and collected 5 boxed of notes from JA, some early-years’ stuff about chairmaking, and the later stuff our joinery notes. 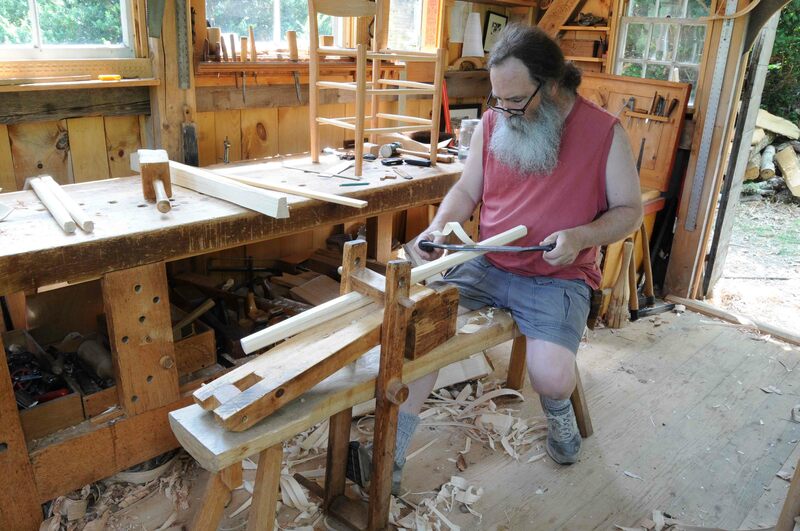 Now, back in the shop, I’m trying to begin a new routine – I’m going to try to set Sunday aside for working on these chairs. 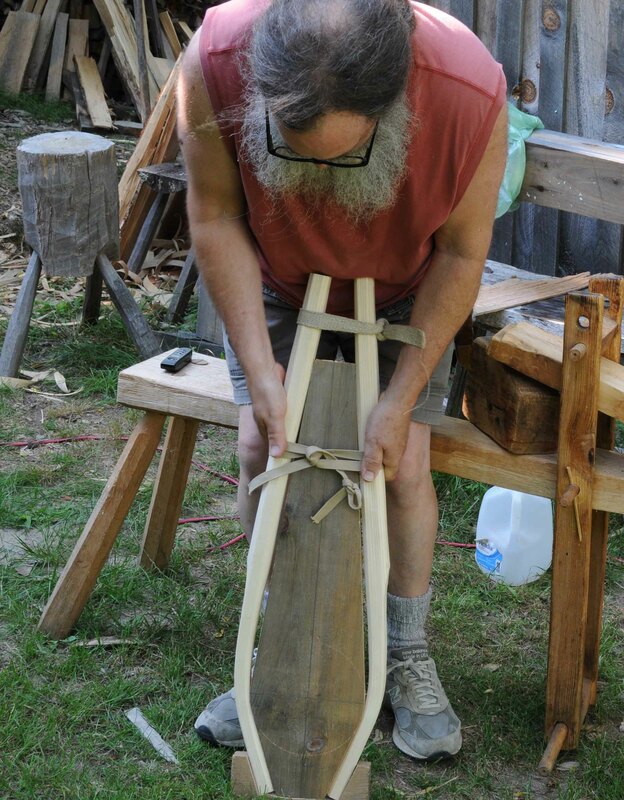 I have two I assembled in the past few months, now putting slats in them, as I shave and bend some new posts for the next chairs. 1978 to 2018 is 40 years, and I had been motivated by that anniversary to begin re-learning these chairs. Now with Alexander’s passing, I’m doubly inspired. We’ll see how it goes, I’ll keep you posted. Shaving posts on the shaving horse designed by Jennie Alexander, modified by me. 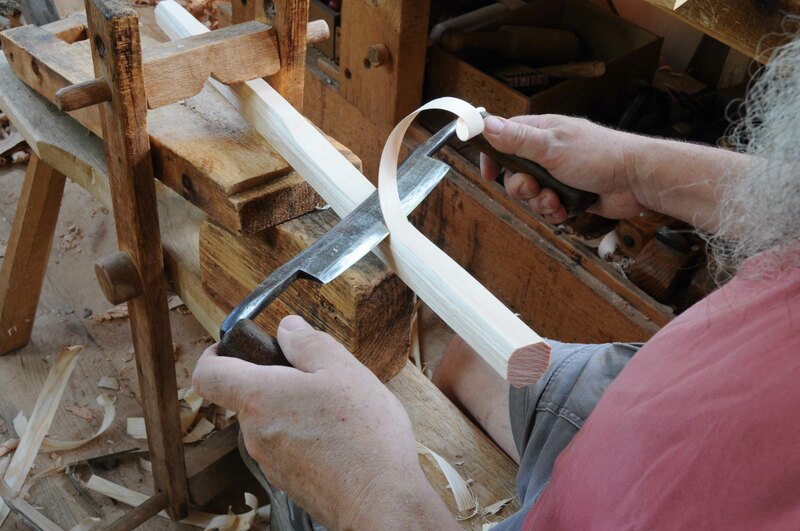 A drawknife peeling nice even shavings. This steambox should be replaced. But it keeps working, so I never bother. But if I want to steam more than one set of posts…maybe the time will come. No door on the left end, just a plastic bag wrapped over it. 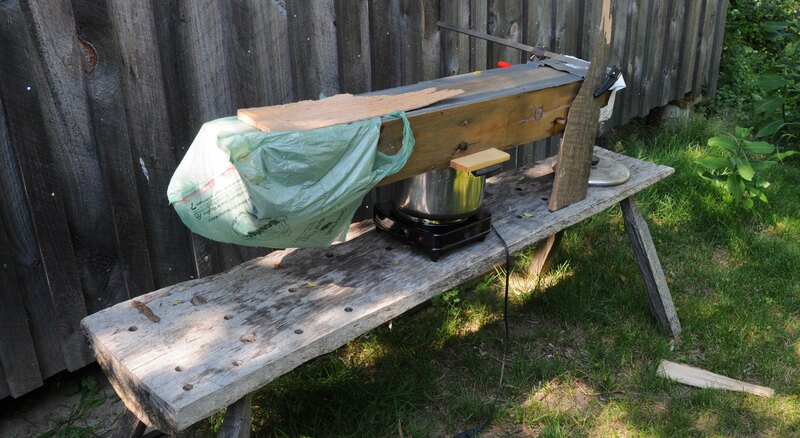 Actually the same at the other end, that one’s just duct-taped in place. Limber ’em up first. Then back in the steam for a minute. 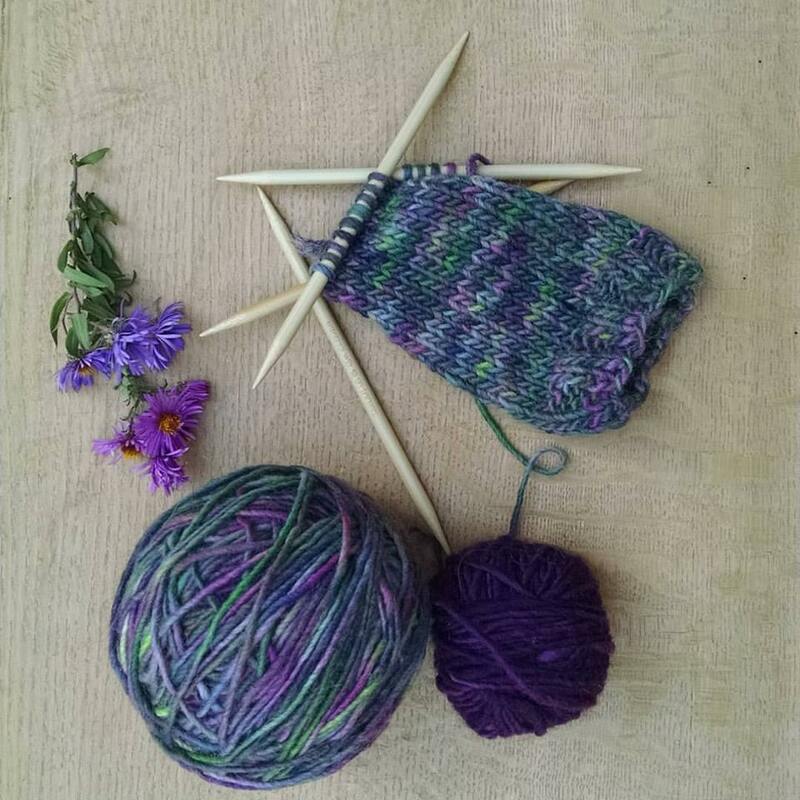 Then jam them into the form and pull the ends together. 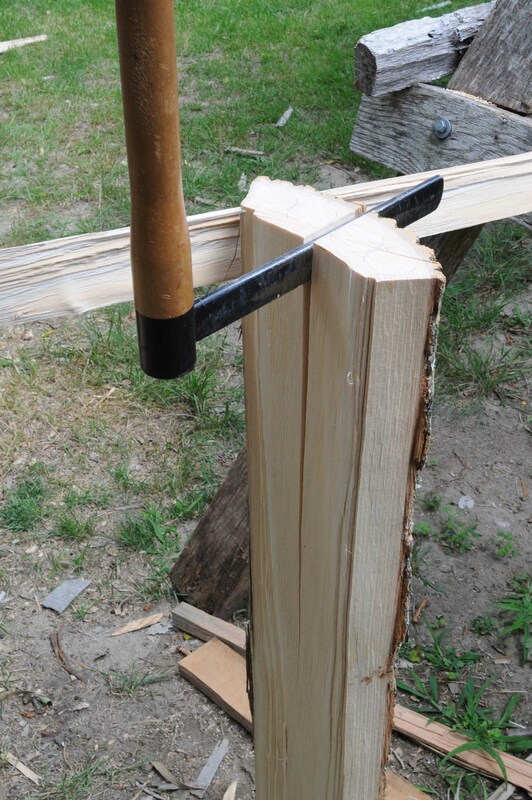 Wrap a couple loops of seating scraps and bind the posts in place. While I had the steambox out, I shaved & bent one of the slats for this chair I assembled earlier this year. Then ran outta time…so the top slat another day. I enjoyed you talk at the Lie-Nielson Open House. Always nice when life’s lessons learned are shared. I’ll drop it off next week when I’m back from Nantucket. I believe that JA/NK chair was a group of 6. It was the first time I stamped a JA chair, but John at the time, would not let me leave for the summer with out stamping. So my stamp was made with a screwdriver I found in the shop. Then, JA explained I should away sign the chairs because that was the needed. 2 years later Jennie told me that the Sabbathday made her promise that the chairmaker stamp the chairs they made. Peter, thank you for all you have done, and JA loved that chair in ways no book could tale.